Clark M. Stanford DDS, Ph.D.
Dr. Clark Stanford DDS, Ph.D. is UIC Distinguished Professor and Dean at The University of Illinois at Chicago, College of Dentistry in Chicago, Illinois. He holds a secondary appointment the Department of Bioengineering, College of Engineering and College of Medicine. As Dean, he is the CEO of the UI Health, COD Dental Clinics System around Chicago managing a $53M enterprise with 700 Academic, Clinical and Research staff and faculty. UIC and the College of Dentistry have a central vision & mission to address health equity issues and to improve oral health as a part of our total dedication to primary care. UIC, ranked in the top 200 Global Universities, and the UIC College of Dentistry is ranked in the top 1% of all dental schools/colleges based on the London Times Rankings (2015-2018). Dr. Stanford received his BS (1984), DDS (1987), Certificate in Prosthodontics & Maxillofacial Prosthodontics and PhD (Biology, Genetics & Developmental Biology; 1992) from the University of Iowa. He was on the Iowa faculty until 2014. He is the author of 24 chapters and more than 200 published papers. 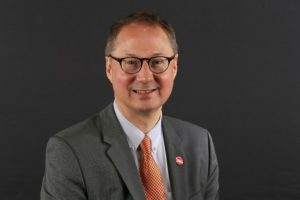 He is the recipient of 15 academic awards including the 2007 State of Iowa Regents Award for Faculty Excellence and the IADR Distinguished Scientist Award (2007). He see special needs craniofacial patients in in a hospital-based setting at UIC and patient’s needing comprehensive oral health rehabilitation. The ongoing evolution of dental implant therapy has been critical to improved patient care. Changes reflected in incremental improvements to basic implant design features as well as modifications of surgical and prosthetic approaches have helped. The real complexity lies in the diagnosis and working together as a collaborative team to achieve the best in potential outcomes. This presentation will present many practical patient care ideas and provide approaches you can use in your everyday practice. 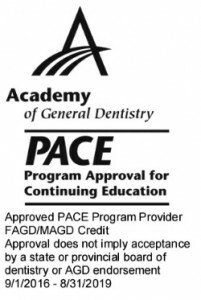 This program sets the stage for where we are going in complex restorative Dentistry. • Understand the importance and value of diagnostic evaluation steps, especially as it relates to craniofacial anomalies. • Identify the strengths and weaknesses of various approaches to complex tooth replacement therapies. • Gain knowledge in choosing restorative designs depending on case situation.